ASAP offers printers from all of the major manufacturers, including, EntrustDatacard, Evolis, Fargo, IDP Smart and Zebra. These printers offer a wide range of printing and encoding features, as well as system integration capabilities. Whatever your needs are, we have a photo ID printer that can meet them. 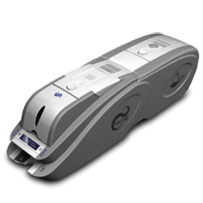 EntrustDatacard® desktop photo ID card printers are one of the preferred choices for organizations concerned about card quality, durability, security and value. With their technically advanced features and user-friendly design, they are one of the industry’s most reliable, most secure, and the easiest way to instantly issue and encode personalized ID cards. SD260 – Built for low-volume printing, the SD260 offers single-sided printing, a manual feed option, and built-in Ethernet and USB connectivity. SD360 – The dual-sided compact-desktop printer produces high-volume, crisp and vibrant credentials. 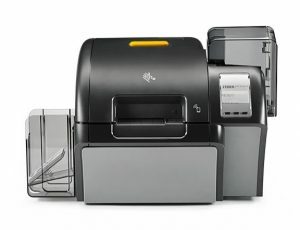 SD460 – The SD460 is an all-in-one printer, encoder & laminator, the Datacard® SD460™ card printer adds unique personalization features and secure overlays to help resist fraud. Evolis Premium Suite®, software, at the core of all new Evolis printers. This software architecture supplies the Print Center, a printing and configuration system that monitors all communications between the printer and the user. Primacy guarantees optimal operation and perfect results, and benefits from a 3-year manufacturer’s warranty. 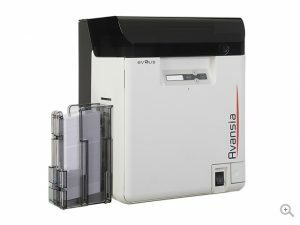 The Evolis Quantum ID Printer is a great solution for organizations that need to personalize cards in large quantities. Organizations such as card manufacturers, bureau services, banks and universities can produce ID and membership cards, student IDs, event passes, membership cards and payment/banking cards. 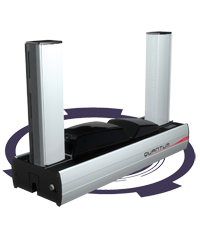 The Quantum can produce more than 1000 cards per hour in monochrome and 125 cards per hour in color, with high resolution texts, logos, picture and barcodes. You can also do single or dual-sided cards with the Quantum, and it comes with a one (1) year warranty. 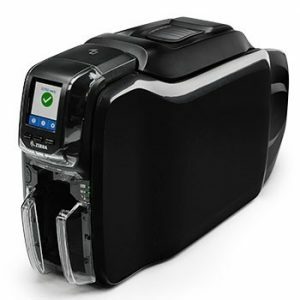 The DTC1250e Card Printer/Encoder is an ideal card printing solution for small businesses, schools, and local governments that need a simple, reliable, and affordable means of printing and encoding photo ID cards. 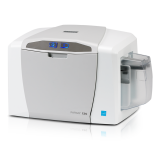 The DTC1250e is the fastest printer in its class and with optional WI-FI it provides professional quality, color ID cards and security encoding–reliably–all in one pass. 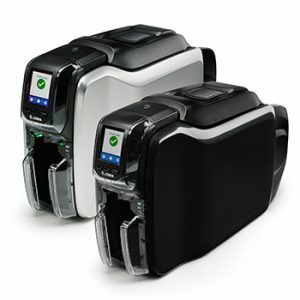 The DTC4250e Card Printer provides professional quality color ID cards and security encoding – all in one pass. However, the great benefit of the DTC4250e is that it is field upgradeable. 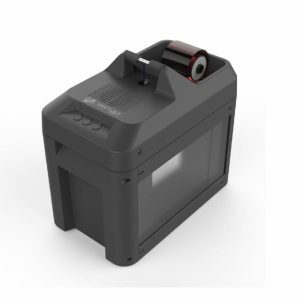 It can adapt to changes you need when you need them – by adding dual sided printing functionality, magnetic stripe encoding, contact chip encoding, Ethernet connectivity or a high-capacity ID card hopper. The DTC4250e grows to meet your needs. The DTC4500e Card Printer can print, encode, fluorescent print and laminate security cards at very fast print speeds for both single-sided and dual-sided print jobs. Dual input hoppers, optional password protection and optional lamination are key features in this professional printer. The DTC4500e is ideal for users who need high volume print runs where quality and security are key. TThe DTC5500LMX also features HID Global’s new iON™ technology, allowing the unit to reach optimal operating temperature in just 45 seconds, expediting production even more. And utilizing robust metal components, the unit’s durable yet stylish housing ensures continuous production in even the most demanding printing environments. 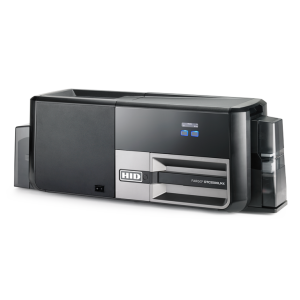 The HDP 5000 Card Printer is perfect for technology cards with embedded electronics. It produces cards in high definition with the highest image quality available. 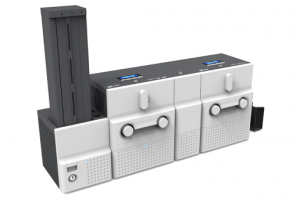 The HDP 5000 can be upgraded easily with additional printing, laminating and encoding modules. Magicard leads the ID card printer industry with their 3-year warranty available on most models and their patented HoloKote technology, a transparent watermark that is added during the regular printing process without any extra cost per print. 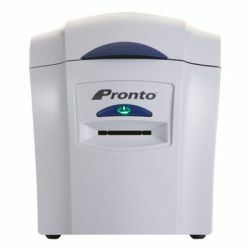 Pronto– Magicard’s easy-to-use entry-level printer, the Pronto, offers affordable on-demand printing. 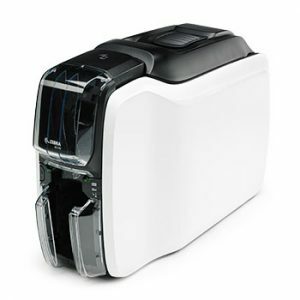 Enduro– The Enduro is a compact direct-to-card printer with batch and single card printing options. It easily upgrades to duplex printing with a special ribbon. Rio Pro – A professional series printer, the Rio Pro offers fast print speeds and a rugged design. It easily upgrades to duplex printing with a special ribbon. USB and Ethernet connections come standard. Prima 4 – The Prima 4 offers the superior print quality and flexibility of reverse transfer printing technology. It can easily be configured to your needs with encoding and lamination options. Matica System – Matica develops, manufactures and markets proprietary high performance, mid-range and desktop solutions for industrial card personalization and card mailing systems. The Group offers a full range of alternative personalization and encoding technologies for banking, government, access control, ID and transportation applications. Espresso-Direct Card Printer The Espresso offers great value and versatility with extraordinary printing speed and outstanding print quality. Compact and powerful, this desktop printer will provide dependable service in any card production environment. The Matica Espresso is available as single- or dual-side printer and ready to be used in single- or dual-sided applications. The entire product line offers optional WiFi and Ethernet connectivity, which makes printing and encoding convenient and trouble-free. 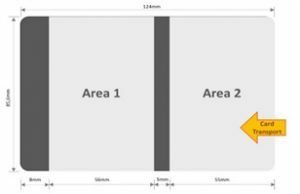 The wide range of options will meet most card printing demands and can easily be added to an existing configuration. XID8100-Entry Level Retransfer Printing on PVC cards differs in many ways from printing on paper and therefore requires specific technology. The Matica XID8100 retransfer printer is the perfect solution for the regular day-to-day demand to personalize all kind of PVC cards. Due to the retransfer printing technology, the XID8100 can print over-the-edge without any limitations to the PVC card design and graphic layout. The proven modular concept enables the PVC card printer to follow upgrade demands at any time. As a standard, the XID8100 is coming in a single side version, but various additional modules, such as flipper module, bend remedy module as well as a selection of encoders can be added on demand. A wide choice of in-line lamination modules to further protect the card against any physical impact or to make it even more secure, can be attached to the PVC card printer. XL8300-Large Format Retransfer Matica’s new XL8300 is an innovative retransfer printer, that specializes in printing exceptionally high quality oversized cards for the event management industry, and is capable of printing up to 128 cards per hour. The XL8300 offers contactless encoding as an option and like the rest of the XID Series 8 family it retains high quality print production. 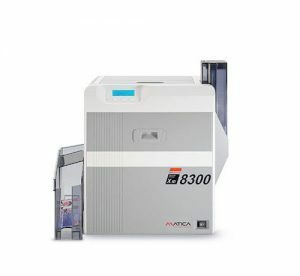 As one the newest members to Matica’s XID Series 8 family, the new XL8300 also benefits from its proven and well-known retransfer technology and offers the biggest individually printable areas in the market. An innovator since 2005, IDP (then I&A Systems) is the fastest growing manufacturer of plastic card printers. 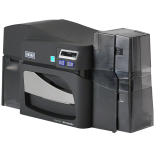 The IDP Smart 31 (S = Single or D = Dual) printer is a great card printing solution for membership, ID, employee, student, and access control. With edge to edge printing, the Smart 31 prints a full color card every 33 seconds. This printer is available single-sided, or easily field-upgradeable to dual-sided. Encoding options include magnetic stripe, contact, and contactless to meet all card printing needs. Available single or dual-sided, the Smart 51 printer is also available in a laminating and rewrite version. This versatile printer is field-upgradeable with dual-sided and encoding options to meet various project needs. The Smart 51L produces long-life cards for ID and access control with customizable security features and the ability to print smart cards. Mid-to-high volume dual side color printer and laminator. High-speed printing with 8sec heat up time. 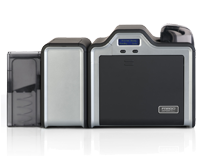 The Smart 70 high-performance large capacity ID card printer designed by the unique modular concept that can support various printer configurations to meet different user requirements. 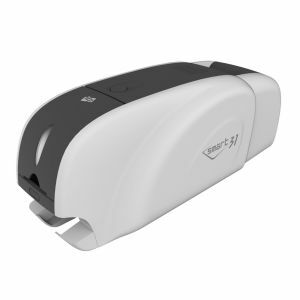 Protecting personal information is paramount and the SMART-BIT shredder is specially designed to ensure the secure destruction of used ID Card Printer Ribbon with personal information. Any industry standard photo id card printer ribbon can be loaded and shredder simply and quickly. 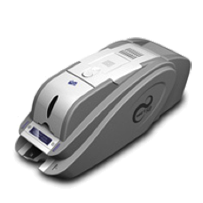 Zebra Card Printers offer ID card printing solutions for a wide range of needs. Zebra printers are flexible and durable to meet your organization requirements. ZC100 – With the ZC100 card printer, you get groundbreaking simple operation and the slimmest fit-everywhere design, along with a toolbox of additional capabilities that make it even easier to integrate, use and manage for your single-sided card printing needs. ZC300 – Print what you want, when you want, from just about anywhere, all at lightning speed. With the ZC300 Series card printers, you get ground-breaking simplicity, security and connectivity options for even the most complex cards – all in the slimmest fit-everywhere design. ZC350 – Design and print virtually any card with groundbreaking simplicity with the ZC350. You can print what you want, when you want, from just about anywhere, all at lightning speed. Print single or dual-sided edge-to-edge color or black and white cards, with new ribbons that offer specialty colors and special effects. You get push-button card printing simplicity for even the most complex cards. The slimmest fit-everywhere design in this printer class makes it easy to add card printing wherever you need it. And since virtually all encoding options are integrated, you can print contact, contactless, proximity or magnetic stripe cards, right out of the box. ZXP Series 7 – Best for high-volume printing applications, the ZXP Series 7 is a direct-to-card printer that offers high print quality, built-in Ethernet connectivity with optional Wi-Fi, and a variety of encoding options. The ZXP 7 can be configured to provide dual-sided printing, with or without single-sided or dual-sided lamination. ZXP Series 9 – The ZXP Series 9 features high-speed, high-quality re-transfer technology with various encoding and lamination configurations available. Ethernet and USB connectivity come standard with all configurations, and optional wireless networking is also available. Choose between single-sided and dual-sided printing, but if you want lamination, you’ll need the dual-sided ZXP 9.